The picturesque town of Santiago in the Oriente region of south-eastern Cuba has historically been an important breeding ground for music on the island. Oriente is home to a wide variety of genres, including son, changüí, nengón, conga, as well as traditions inherited from Haiti. 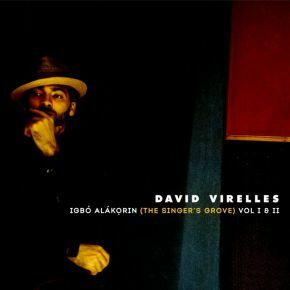 Since leaving home in 2001, each time Virelles returned he would make it a point to reconnect with the elders of Santiago’s rich musical tradition, many of whom he knew as family friends through his parents who are also musicians. This project is an opportunity for him to shine a light on some of these musicians, many of who rarely received recognition beyond Santiago, but remain arguably amongst the last living resources from Cuban music's golden era. It’s a homecoming that documents a collaboration with roots in family, community and culture.